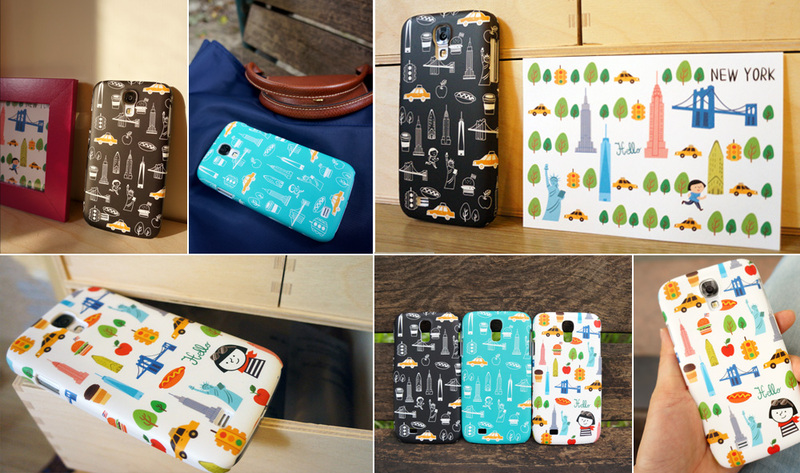 Taipei, Taiwan – FZtech, a manufacturer and supplier of cutting edge and high quality products, is excited to announce the new collection for Samsung Galaxy S4 case – iCity Series: New York Adventure. 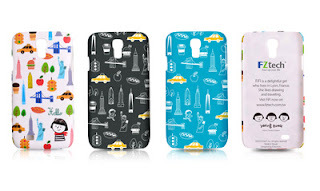 The protective case is made of plastic materials with 2-layer surface coating, offering comprehensive protection for Galaxy S4 against impacts and scratches. This design of New York series features various themes such as landmarks, buildings and local food of the cities. For example the Brooklyn Bridge, Empire State Building, Statue of Liberty and Flatiron Building. Moreover, the big apple, hot dog, taxi and paper coffee cup are all included in this series. Those patterns are all design by illustrator Yating Hung, inspired from her travel experience. New York series has three color options, white (FZT-FUN1), black (FZT-FUN2) and lake green (FZT-FUN3). FZtech mascot fifi said hello with colorful city elements which is white background design, and other colored background designs, black and lake green with the patterns of city features in white and fifi is merged in the city scenery. iCity Series is made of plastic with 2-layer surface coating with rubber oil treatment which is extremely durable, making it anti-scratch, anti-dust and non-slip. Weighting only 18g, this collection is lightweight, portable and ultra-slim. It covers Galaxy S4 perfectly and tightly in back and edges, offering comprehensive protection. FZtech cooperates with illustrator Yating Hung and then design this iCity series, creating and making the different sparkles by combining technology and art elements. The adorable iCity Series for Galaxy S4 will be available in Taiwan, Singapore and Thailand soon. FZtech welcomes global distributors, retailers, wholesalers and agents to bring the products worldwide. For more information please visit FZtech online.